Every drop of Mountain Valley Spring Water comes from a single, protected source near Hot Springs National Park, Arkansas since 1871. Two time Gold medal winner of "best tasting water in the world" at the annual Berkeley Springs International Water Tasting Competition. Mountain Valley is sodium-free, high in pH, and with a healthy mix of calcium and magnesium. 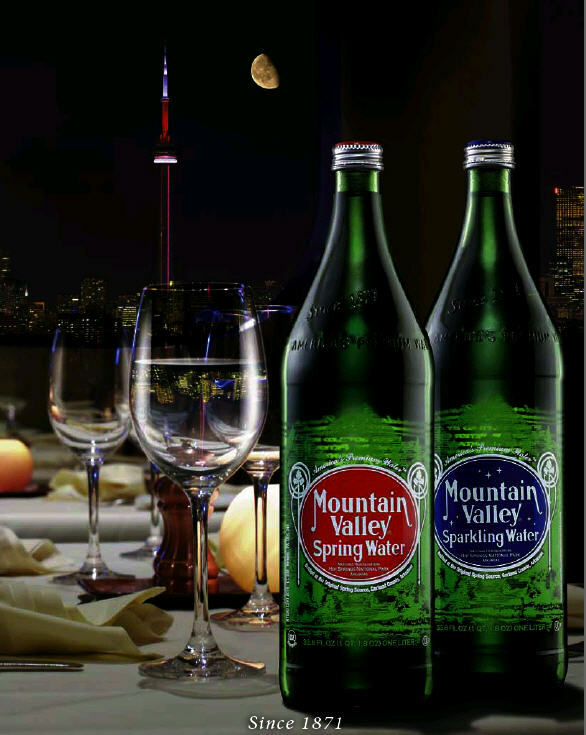 Crisp yet without the aftertaste of heavy, imported mineral waters, Mountain Valley Spring and Sparkling Waters are a preferred complement to fine foods and wines. Cedar Springs Water is proud to offer this premium water available to the Food, Beverage and Hospitality industry in the G.T.A.